There are few fundraisers who have more influence than celebrity fundraisers. Their networks reach far and wide, and they have the power to activate entire populations of donors almost overnight. It’s clear, then, why nonprofits sometimes reach out to celebrities to help with their fundraising efforts. Other times, celebrities reach out to fundraise on behalf of the organization. Regardless, below are some of our favorite campaigns with celebrity involvement. You never know who our future leaders are going to be, [or] who is going to create the next technology to change our world. He recently attended Pencils of Promise’s gala in New York, where he was blown away by the organization’s efforts to provide children with access to quality education. During the gala, Pencils of Promise raised $1 million in one hour to build schools, create programs, and strengthen global communities around education. Lil Jon had his mind made up. He was going to start his own fundraising campaign through Pencils of Promise. “I don’t think kids should be deprived of an education. If you look at what’s going on in the world today, you can see how, even more so, education is important. 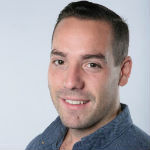 His goal is to raise $70,000, which will cover the cost of two schools. 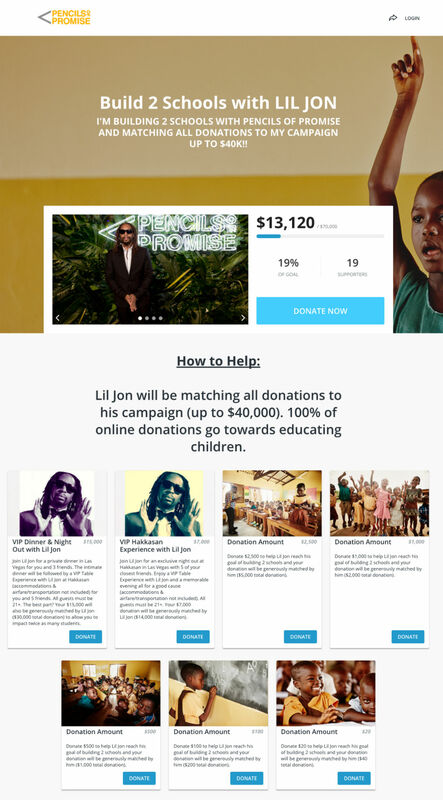 What’s interesting is that Lil Jon structured this as both a birthday campaign and a matching gift campaign. He’s also mixed in top tier incentives to encourage large donations. Those who donate $7,000 score a VIP experience at Hakkasan in Las Vegas with Lil Jon. For $15,000, you get the VIP experience plus dinner and a night out with him and five of your friends. Patrick Rothfuss, renowned fantasy novelist, has been fundraising on behalf of Heifer International for years. He’s had so much success fundraising for them that he’s even founded his own organization, Worldbuilders, which continually campaigns for Heifer. In 2008, Rothfuss held a photo contest for his fans to pose their pets with his books. He was shocked to receive almost a thousand submissions, which told him two things. First, he had a strong network of dedicated, passionate fans. Second, he could put this online community’s enthusiasm to better use fundraising. “Heifer gives a family a goat and teaches them how to take care of it. Then that family has a continual source of milk for their children. They can sell the extra milk to make money. When the goat has babies, they give those babies to other members of their community, sharing the gift. Heifer helps people become self-reliant. To date, Rothfuss has raised over $6 million for Heifer through Worldbuilders. “[Rothfuss] has done amazing things for Heifer, and he is really engaged and energizes his community to support our mission. The Women’s Alzheimer’s Movement kicked off Challenge 66, a fundraising campaign in November 2016, just after the presidential election. They secured Maria Shriver to help evangelize their cause, who subsequently filmed a video outside Trump Tower in New York City. Shriver’s message was that no matter which side of the political fence you stand on, we can all relate to Alzheimer’s. A new brain develops Alzheimer’s every 66 seconds. Two out of three of them belong to women, but nobody knows why. “There’s no politics. Only healing, research, and coming together. She urged everyone to call their elected officials, talk to friends, and donate to the campaign to help. Further, Challenge 66 and Shriver don’t demand or ask for donations. Instead, they encourage people through a soft ask, saying that whatever you can give will help support. Tapping Shriver’s network helped Challenge 66 exceed their $30,000 goal and reach a total of $45,649—152 percent higher than they had hoped. It’s also worth mentioning that their campaign design, while informative, is beautifully simple. Convoy of Hope was excited to begin working with Zendaya, a young singer, actress, and dancer with wide appeal in younger demographics. She worked with them to help evangelize their Women’s Empowerment Initiative. Through this campaign, they began fundraising for women who need money to create and sustain small businesses. First and foremost, the funding helps women take care of themselves. However, the reach of a successful small business extends to their families, helping to break the cycle of poverty. The campaign also takes advantage of the many built-in design features in Classy to create a beautiful final product. Specifically, the Impact Blocks call out tangible data surrounding just how far the donation will go. It’s an ongoing campaign, but Zendaya’s influence helped bring in 232 supporters and $32,104 of the overall $50,000 fundraising goal. 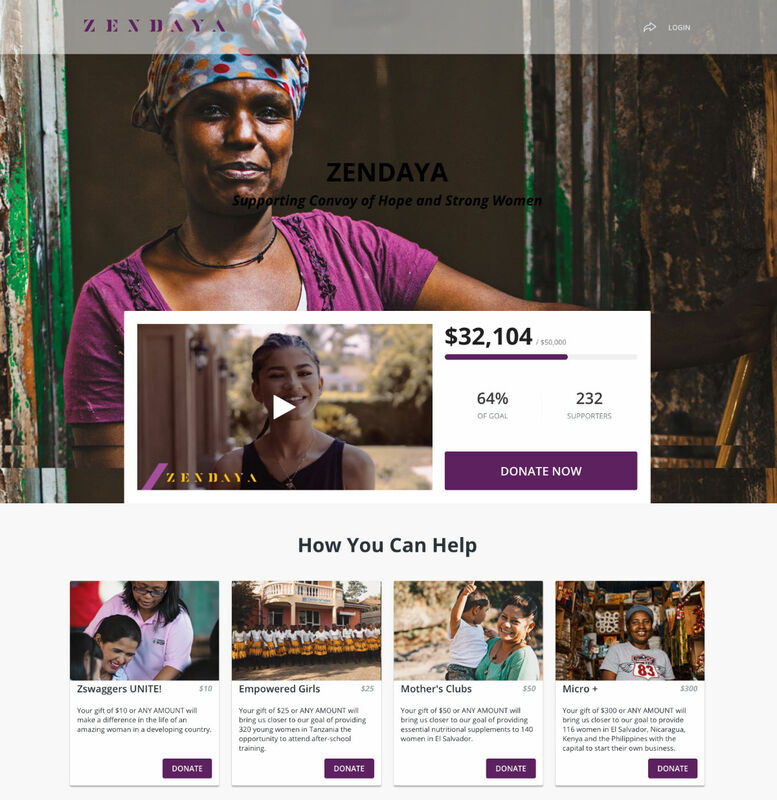 People have specifically called out to Zendaya in the comments, citing her as their inspiration for donating to this campaign. Don’t get too caught up thinking that you have to engage with A-list celebrities. In fact, a celebrity can be anyone in your city who has a substantial network, like the local mayor. If you’re able to get influencers engaged with your campaign, they have the power to bring new life and zest to your campaign.